Dr. Majid Majeed Akbar, obtained B.Sc. and M.Sc. Chemical Engineering degrees from University of the Punjab, Lahore. Later, he attended University Teknologi PETRONAS, Malaysia for Ph.D. Chemical Engineering studies. Dr. Akbar has published about 17 articles in the journals such as; Journal of Cleaner Production, Clean Technologies and Environmental Policies, Biomass Conversion and Biorefinery, Journal of Molecular Liquids, Journal of Thermal Analysis and Calorimetry and Journal of Pakistan Institute of Chemical Engineers etc. He has more than 35 cumulative impact factor. He remained active member of 2 international and 3 local research projects funded by Ministry of Science, Technology and Innovation, Malaysia; MyRA, Malaysia and University of the Punjab. Presently he is independently managing 3 more fully funded research projects. 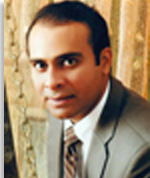 Dr. Akbar has more than 13 years of university teaching experience at national and international level. He has taught many core chemical engineering subjects with success and contributed in the training of more than 1800 graduate chemical engineers.